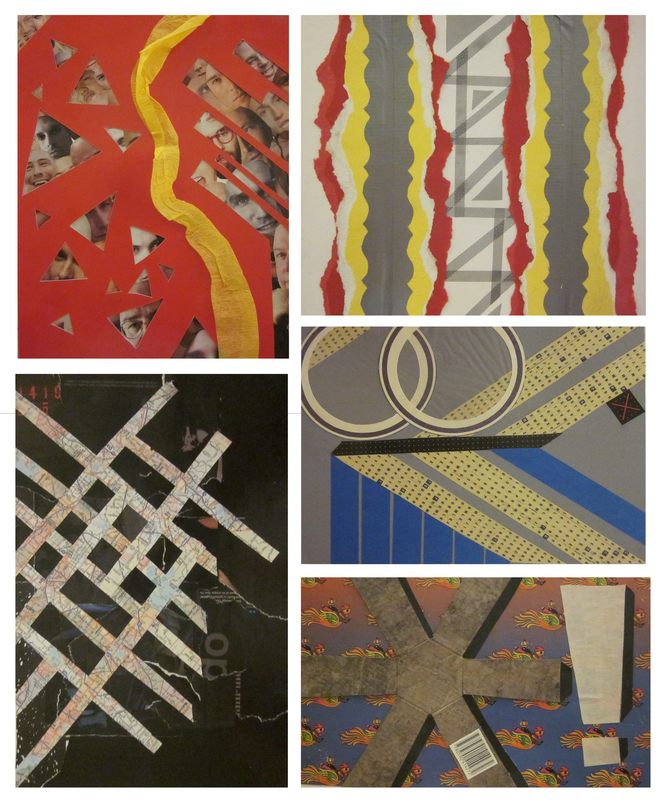 As part of last drawing class of my college career, I produced 5 collages made of various paper materials. From these collages, I went on to make a much larger piece, inspired by them. Each collage is approximately 5×7 or 8×10.